Wow, I’m looking crazy good. Haha. 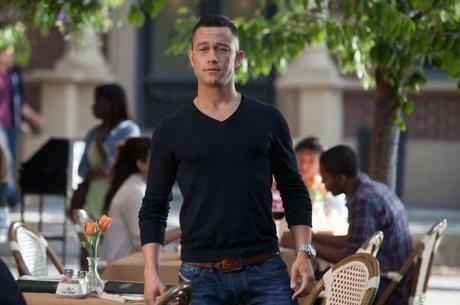 Nah that’s Joseph Gordon-Levitt who had one of the better films come out in this Fall in Don Jon. Don’t believe me? Well you might want to ask this guy. Wait that’s me as well. That’s right! I’ve written for Filmoria for just about a year now and a large majority of my Film and Video Game reviews have gone over there. If you use this link: CLICK ME! You can see all the articles I’ve written for Filmoria for the past year. Some of my newest reviews include the NYFF premiers of ‘The Secret Life of Walter Mitty’ and ‘Her’, both of which haven’t made their way to cineplexes yet. Is that all I’ve been doing? NOPE. I’d like to take this opportunity to announce that I am a Newswire Editor over at the fine Movie Mezzanine. I’ll be editing over contributors work as well as offer up my own. While I’m only be covering the news over there, you can still see my reviews over at Filmoria for the time being. As you can see I’ve included letter grades just incase I don’t get around to reviewing them. Needless to say ‘Gravity’ is my front-runner for Best Film of the Year. So perhaps I’ll come back here and write some reviews or perhaps I won’t. We will see. The Facebook Page and Twitter accounts are still frequently updated, so don’t miss out!